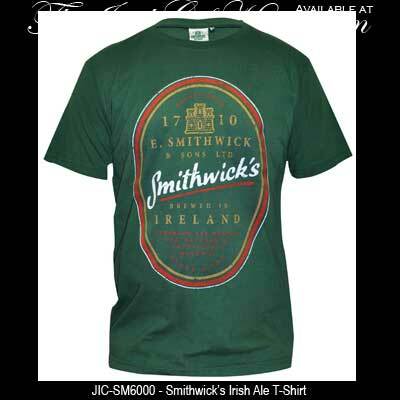 Irish t-shirt features the distressed print design for Smithwick's Ale. Sorry, the Smithwicks t-shirt is now sold out. The short sleeve, Smithwick’s Irish Ale t-shirt has a distressed red, white and gold Smithwick and Sons logo. This green Irish t-shirt is 100% pre-shrunk cotton and is only available in size 3XL.